Balbirnie House awarded "Business Excellence Award" 2007, Hotelreview Scotland. Balbirnie is an outstanding venue for all types of meetings and special occasions, offering a truly unique and exceptional setting for special events which require bespoke attention.We are very fortunate to be able to offer you a range of eight different meeting spaces, accommodating anything from small meetings and private dining parties to conferences and product launches for up to 250 guests. 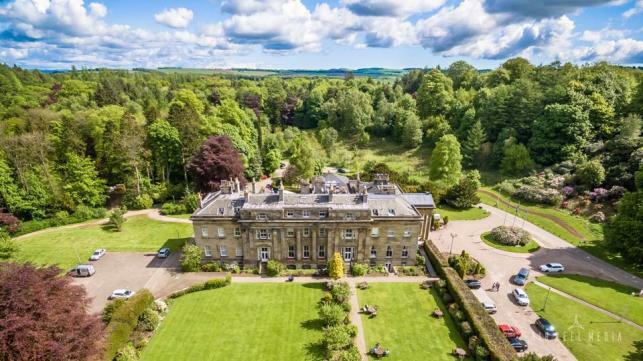 Widely acknowledged as one of the finest of the privately owned small luxury hotels in Scotland, Balbirnie offers a wonderful experience, whatever the occasion of your visit. Fine food, lovely surroundings and above all a real sense of friendly Scottish hospitality combine to create quite a unique setting for today's house guests to enjoy.